(VIDEO) HM Queen Rania of Jordan Visits a School in Madaba. “…check on the Healthy Kitchen Project, implemented by the Royal Health Awareness Associations (RHAS), in collaboration with the World Food Program (WFP). Her Majesty praised the efforts put in by all parties involved and emphasized the importance of supporting such entrepreneurial programs that reach and serve communities, and contribute towards creating jobs that benefit women. [Her Majesty] also highlighted the importance of reviewing the challenges faced, emphasizing the importance of documenting them, to study the feasibility of expansion and increasing the program’s reach to more schools. Her Majesty [then] stopped by a classroom where she met with and greeted Al Aqsa Charitable Society kitchen employees who gave her a brief on the process and benefits of producing healthy and nutritious food for students. TMs King Philippe and Queen Mathilde of Belgium Host a Reception. 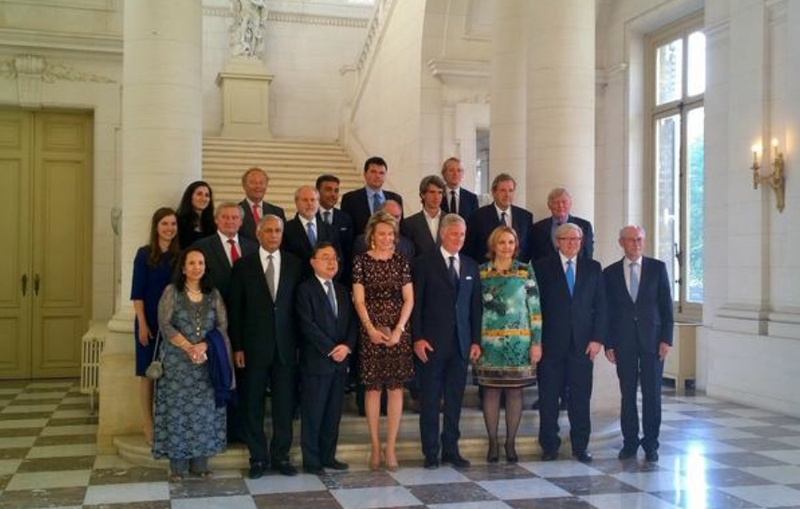 On Tuesday, May 19, 2015, Their Majesties King Philippe and Queen Mathilde of Belgium hosted a reception at Château de Laeken in Brussels for representatives from the Asia Society Policy Institute. Tonight’s gathering was held “…in the framework ahead of the state visit to China in June 2015…” notes the Belgian royal court. The ASPI tackles major policy challenges now confronting the Asia-Pacific in security, prosperity, sustainability, and the development of common norms and values for the region. (VIDEOS) The Crown Prince Couple of Denmark Visit Hamburg, Germany. On Tuesday, May 19, 2015, Their Royal Highnesses Crown Prince Frederik and Crown Princess Mary of Denmark began their three-day official visit to fantastic Germany. This morning the crown princely couple were in Hamburg where they were welcomed to the city by the Lord Mayor, Mr. Olaf Scholz. Soon, the crown prince couple were off to attend the “…opening ceremony of the business delegation’s program with 450 Danish and German guests, including company leaders and decision-makers…” according to Kongehuset. After a lovely luncheon the crown prince couple went their separate ways. For Crown Prince Frederik, well, he spent his lovely afternoon visiting the Asklepios Klinikum in Barmbek and participated in a conference, held under the theme Liveable and Energy Efficient Cities of the Future, held at HafenCity Universität Hamburg. Meanwhile, Crown Princess Mary opened a Danish design exhibit at Stilwerk and visited the Edeka Supermarket. The day ended with the crown prince couple attending the opening of the exhibition, Create with Aarhus, at HafenCity Universität Hamburg. To view a photos and to watch video news reports from today’s fun-filled adventures with the crown princely couple of Denmark please click the links below. (VIDEOS) TMs King Willem-Alexander and Queen Maxima of the Netherlands Visit the Region of Zeeuws Vlaanderen. On May 19, 2015, Their Majesties King Willem-Alexander and Queen Maxima of the Netherlands visited the cities of Terneuzen, Hulst, and Sluis in the region of Zeeuws Vlaanderen. A highlight during today’s events was the opening of the Sluiskiltunnel. According to RVD, the tunnel will improve infrastructure and traffic flow in the region. The tunnel is important for the development of cross-border cooperation between Zeeland and Flanders and the business climate for companies and individuals. (VIDEOS) TRHs The Prince of Wales and The Duchess of Cornwall Visit Ireland. On Tuesday, May 19, 2015, Their Royal Highnesses The Prince of Wales and The Duchess of Cornwall began their four-day official visit to Ireland and Northern Ireland. “…the National University of Ireland, Galway where they viewed a display of traditional crafts and cultural activities before joining a reception. [During their visit to the university] The Prince shook hands with Sinn Fein President, Gerry Adams. The Prince and Mr Adams sat down in a private room for 10 minutes in an engagement attended by the party’s Northern Ireland Deputy First Minister Martin McGuinness and the British Ambassador to Ireland Dominick Chilcott. His Royal Highness agreed to the meeting after a request by the Sinn Fein President. Thereafter, The Prince of Wales visited the Marine Institute in Oranmore and toured the Burren in County Clare while The Duchess of Cornwall visited the Claddagh National School where she met with “…students participating in the Suas literacy program. The Duchess also attended a reception at the Mick Lally Theatre to mark the Druid theatre company’s 40th anniversary…” according to the newspaper, Clare Herald. 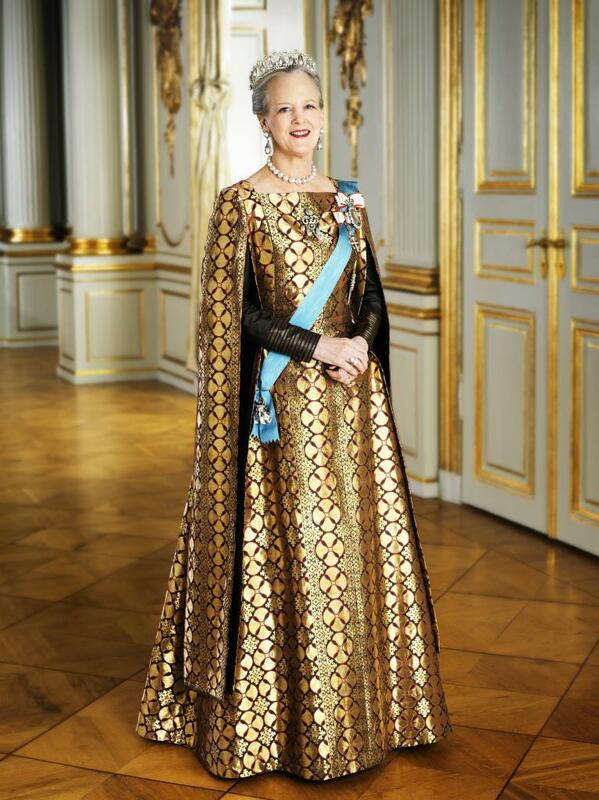 Her Majesty Queen Margrethe II of Denmark Inaugurates a New Building. On Tuesday, May 19, 2015, Her Majesty Queen Margrethe II of Denmark inaugurated a new building at the CLAY Keramikmuseum Danmark (CLAY Museum of Ceramic Art Denmark) in Middlefart.